TRAVERSE CITY– Rebecca Brown is a rare case; the 18-year-old plans to work every summer through her college years. “I’m going to work as much as possible to pay down my student loans,” said Brown, pledging to spend summers in Traverse City to work. The Interlochen teen is part of a shrinking pool of young adults available to work during northwest Michigan’s busy summer season. 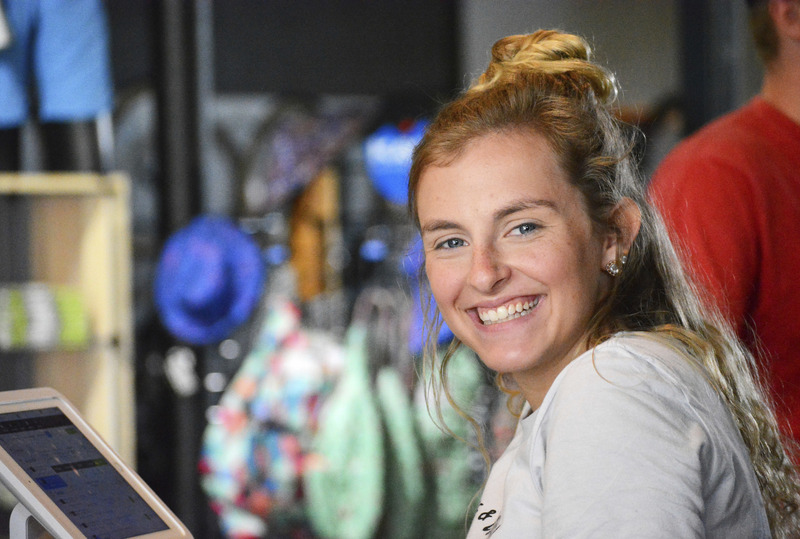 The Traverse City Record-Eagle reports that employers who traditionally rely on young people at starting wages to fill positions at kayak rental businesses, ice cream shops and mini-golf courses have found it increasingly difficult to assemble a full staff. Subway franchisee Wendy Williams works overtime to help manage her nine stores scattered around Traverse City. She currently seeks six store managers — and a dozen other restaurant workers. Northwest Lower Michigan’s labor market is tight across the entire spectrum of experience level, but Williams and other employers in the Grand Traverse region say teen workers are particularly elusive this year. The Tom’s Food Markets chain currently seeks three managers, seven full-time associates and up to 30 summer part-time workers, Human Resources Manager Christine Kiblinger said in an email. The company is receiving far fewer applicants in the 16-17 age bracket than it used to, she said. Oleson’s West Store Director Jim Summerville said all the grocery chain’s locations currently have unfilled positions. Pirates Cove Adventure Park, a recreation center in East Bay Township that offers mini-golf, go-karts, a ropes course, a zipline and other attractions, has 70 employees between the ages of 16 and 23, said Manager Tim Olson. About 70 percent of those are 16 to 19 years old. Some people think fewer teens are working today because today’s youth is too busy playing video games or lounging on the beach. Reality instead may be that teens are working just as hard as previous generations — but with a different focus. In years past, teens toiled at a summer job to earn cash to help pay for tuition. But rising college costs means summer minimum-wage job earnings simply don’t go as far as they once did.